MIRADOR DE EIRÍS. QUALITY OF LIFE IN A PRIVILEGED SURROUNDINGS. 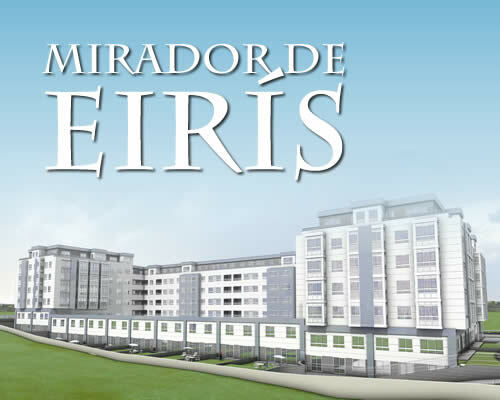 With quality as our maximum priority, Conchado & Asociados presents their latest residential complex: Mirador de Eirís. Situated in a privileged setting in the City of A Coruña and with views of the unrivalled natural beauty of the estuary, Mirador (which means viewpoint) de Eiris combines the best in quality construction, in an exclusive location surrounded by green spaces and a leisurely environment. All of these things combined really do make this a very unique development. Mirador de Eiris consists of a range residential homes of 1,2,3, and 4 bedrooms; terraced style houses with garden, private parking and entrance, and also includes available business premises. The residential properties include an underground parking space (with the possibility of second space per property) and large community areas with zones dedicated to games rooms, squash courts, gymnasium, sauna and changing rooms, as well as an area for diversified activities.